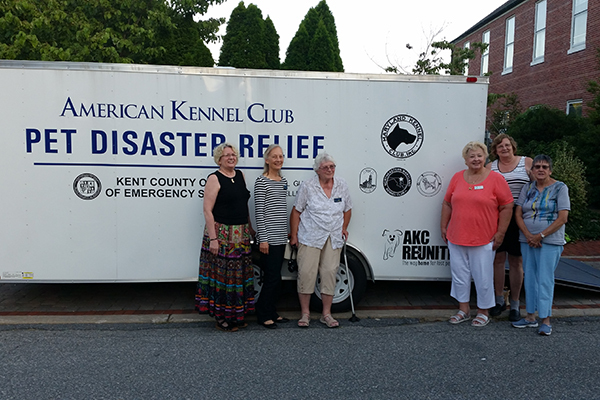 Kent County is now equipped with a state-of-the-art AKC Pet Disaster Relief trailer that will be available to dispatch to any disaster scenes that need assistance sheltering pets. AKC Pet Disaster Relief, a national program that is dedicated to keeping pets and their owners safe in the aftermath of natural or civil disasters, joined forces with local American Kennel Club dog clubs and dog lovers to present an emergency trailer to officials from the Kent County Office of Emergency Services in a ceremony held yesterday. This is the 8th AKC Pet Disaster Relief trailer to roll out in the state of Maryland, with trailers also located in Baltimore, Caroline, Calvert, Cecil, Harford and Queen Anne’s counties, as well as Easton, Maryland. The purchase of the trailer was made possible by more than $22,000 in donations and grants from the Maryland Kennel Club, the Annapolis Kennel Club, the Mispillion Kennel Club, the Northeastern Maryland Kennel Club, Kent County Commissioners, Daniel Gueriero & Michelle Leone, Fred and Duffy Askins, the Cairn Terrier Club of America, citizens of Kent County and AKC Reunite, the nation’s largest non-profit pet identification and recovery service. 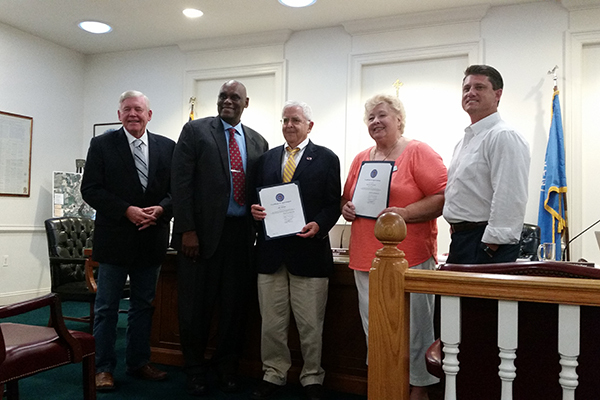 “Thank you to these AKC dog clubs and AKC Reunite for helping us to obtain such a valuable tool that will allow our agency to ensure the safety of our pets during any future disasters,” said Ginger Gregg, Emergency Planner for Kent County.